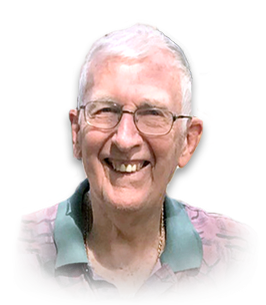 Roy died suddenly at home on Sunday, February 17, 2019, at 92 years of age. Dearest husband of Joy for over 70 years. Wonderful father of Michael and wife Glenys (of Adelaide, Australia) and Kathi and husband Dan Herlihy (of Toronto). Beloved grandfather of Jeff (Melissa) and Chris Bull; Brendan and Clare Herlihy. Great grandfather of Natalie and Isaac. Roy will be fondly remembered by many nieces and nephews. Roy lived his entire life in Windsor, was a 48 year employee of Waffle’s Electric and a long-time member of Westminster United Church. Roy belonged to the Windsor Tennis Club and played well into his late 80’s. If you so desire, donations to Westminster United Church or the Downtown Mission would be appreciated by the family. Visitation Friday, February 22, 2019 from 3:00 p.m.-5:00 p.m. and 7:00 p.m.-9:00 p.m. Funeral Service Saturday, February 23, 2019 at 11:30 a.m. at Families First South Windsor, 3260 Dougall Ave (519-969-5841). Burial at Greenlawn Memorial Gardens. There will be a procession from Families First to Greenlawn Memorial Gardens for a ground burial. Leaving Families First at approximately 2:15 p.m.